The CDC announced that the week of April 7, 2014 is National Public Health Week. Doesn’t sound as exciting as National Bacon Day. But, it is worth noting, nonetheless. During the first full week of April each year since 1995, the American Public Health Association (APHA) brings together communities across the United States to observe National Public Health Week (NPHW), which is a time to recognize the contributions of public health and highlight issues important to improving our nation. This year, during the annual campaign, the Centers for Disease Control and Prevention are hoping to inspire everyone to be a: “Public Health Nerds,” who focus on bringing communities together to promote good health. I’ve always considered myself a firedog nerd and that’s okay because I’ve always believed that nerds are cool. Thursday: Eat well. The system that keeps our nation’s food safe and healthy is complex. I sure hope pork chops are considered healthy. They’re one of my mainstays. 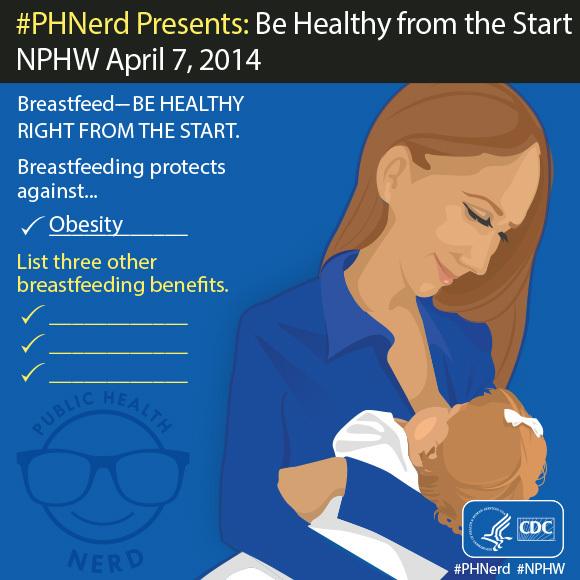 The CDC hopes they’ll strike a chord with what they are referring to as their “nerd” campaign, encouraging people to track the topic using the hashtag #PHNerd. I’ll be posting my “firedogisms” this week using that hashtag. Join the conversation! Despite the dramatic progress achieved through a century of public health advancements — the elimination of polio, fluoridation of drinking water and seatbelt laws — our nation’s health falls far short of its potential. Steak hasn’t yet been turned into medication. I think this is something we should spend time trying to tackle. Eat right and drink plenty of water. I love drinking water, especially out of porcelain bowls. Move. Maybe take your dog for a walk!